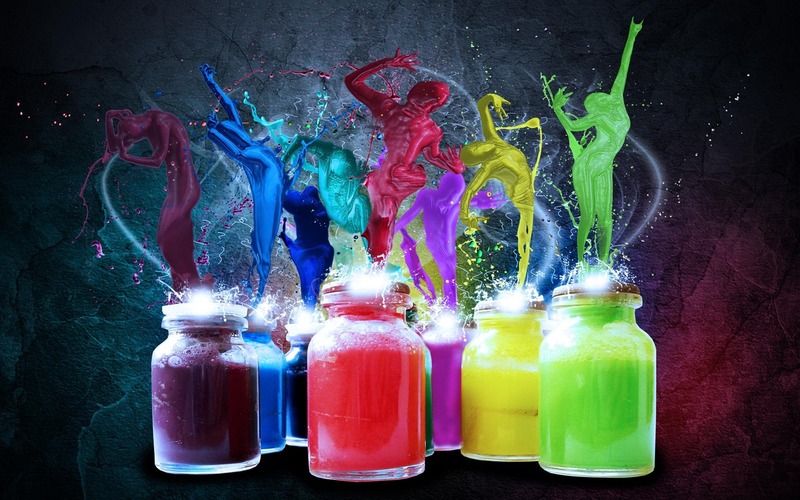 FIND YOUR FREEDOM with FLOW STATE* & COLOR! Access Your Full Potential, be 500% More Productive, Heal your Body and Feel your Absolute Best! *Flow State (aka ‘the Zone’, ‘the Groove’, etc), is an optimal state of consciousness and brain function where you feel and perform your best. 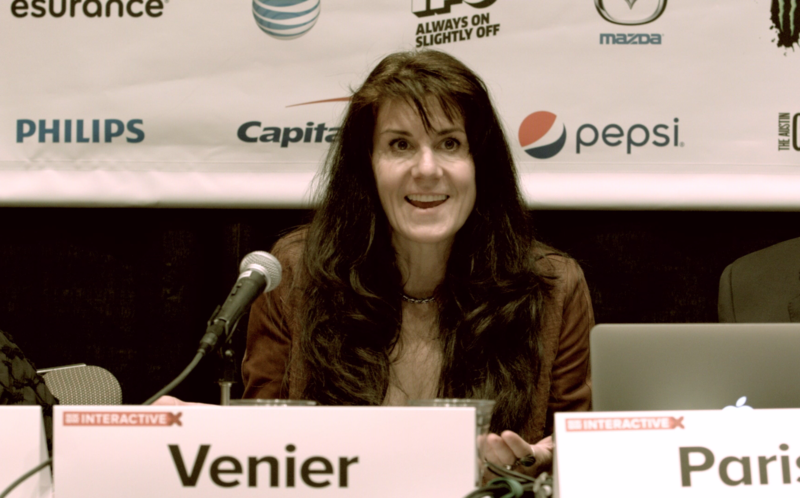 We’re about to schedule the next Live Online Color & Creative Flow Training Program led personally by me, Leanne Venier– sometime in April 2016. Subscribe NOW to be notified – Only 20 spots available! Just click here to fill out this QUICK 3-minute VIP questionnaire so I can learn a bit more about your specific needs and get to know you better. (And feel free to share the questionnaire with your friends if they’d like to become VIP’s as well). I’ll add you to the VIP Early Bird Notification List and you’ll be first in line with a SPECIAL VIP BONUS added in. I help people who are ready to Live the life of their Dreams find Freedom through Flow & Color! I can teach you to tap into Flow State at will and apply its countless benefits in your daily life and business. And we do it using your PERSONAL Colors. 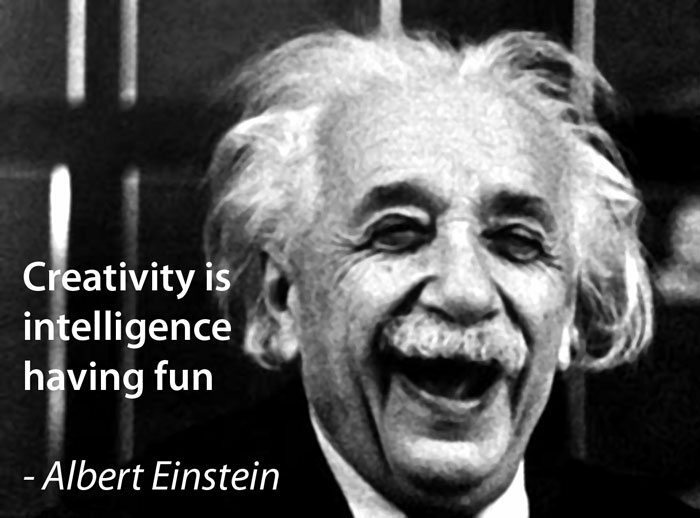 your innate CREATIVITY lies, just waiting for you to tap into it. I can help you achieve it to live the life of your dreams. I’ve already helped hundreds of people learn to do this for themselves. My techniques use the Science & Psychology of Color and Flow State. And there’s NO ART EXPERIENCE NEEDED to learn them! We’ve all heard about how great meditation is for you, right? Well, with my Creative Flow Process, you get all of the benefits of meditation and many, many more … without ever having to sit on a mediation cushion. When you attend my Color and Creative Flow Training you’ll learn to quickly and reliably enter Flow State whenever you’d like, starting the very first time you do the Color Exercises. Plus you’ll learn all about your personal colors, what they say about you and how to harness their energy to make dramatic shifts in your life. You’ll learn to use this color knowledge to immediately start getting unstuck and make the shifts to create the life you’ve always wanted. And the benefits grow exponentially over the next few weeks as we work together to create your new Creative Flow habits. in addition to all the physical & emotional healing and mind-body wellness benefits that come from tapping into Flow State on a regular basis. So who am I and what Qualifies Me to teach you how to do all this? 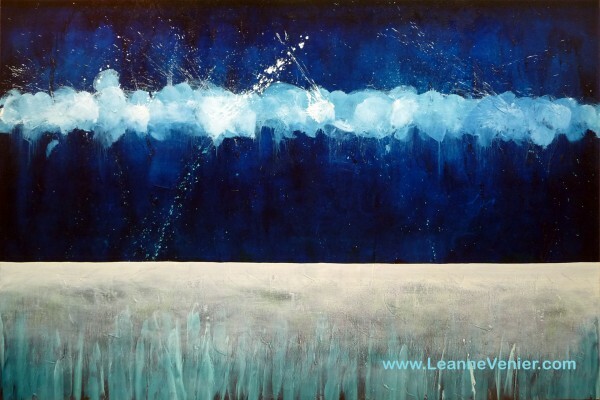 Leanne creates all of her highly acclaimed, international award-winning oil paintings in Flow State. I’m an international award winning artist and former mechanical engineer. After feeling stuck and unhappy in my corporate job, I abandoned my engineering career and moved to Italy where I spent 7 years perfecting my ability to tap into Flow State at will. 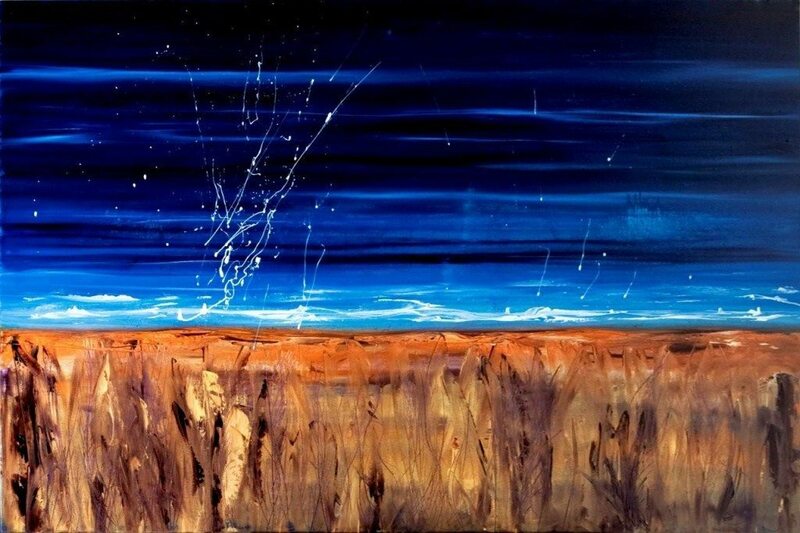 When I came back to the states and started painting, I began applying what I learned to immediately start creating my critically acclaimed healing abstract paintings, all created in Flow State. I not only apply this Creative Flow State in my painting process, but also in all aspects of running my international business. For years, I’ve been teaching medical doctors and lay people alike about the science behind the healing effects of color, light, art and Flow State and how to apply its many benefits in business and daily life. And now I share my immensely gratifying Creative Flow Process with others. I’ve worked with hundreds of students in my program who rave about the benefits they’ve received from it. I first started painting as a total beginner painter 8 years ago. In the very first few months of painting, as soon as I started to effortlessly tap into Flow State by using specific colors, I began to channel this creative energy into my paintings. The results were immediate and dramatic. 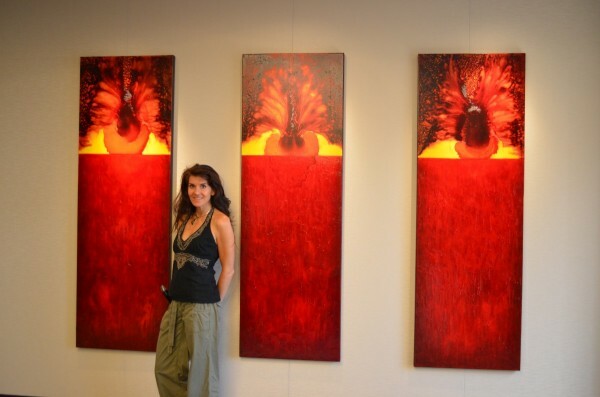 My work started selling immediately and within my first year of painting, I became an internationally acclaimed artist. Opportunities constantly fell into my lap. People from around the world were finding my brand new website and reaching out to me to offer me exhibitions and magazine features. It all happened so quickly and effortlessly. All I did was figure out how to tap into Flow on a regular basis and everything else manifested. It was bizarre! And by simply tapping into Flow State while painting on a regular basis, the ability to tap into that unlimited creative energy started flowing over into all other aspects of my business and personal life. People started asking me if I could teach them my methods. I wasn’t interested in teaching a painting class since there are thousands of those out there. Instead, what I could share that was far more valuable, was my methodology for tapping into Flow State. Flow State is where all the beautiful masterpieces, great literature, and thriving entrepreneurial businesses are created. I knew that when you use color to tap into Flow State, you can easily begin to unblock wherever you may be feeling stuck in life, whether it’s with your health, your creativity, your relationships or in your business life. 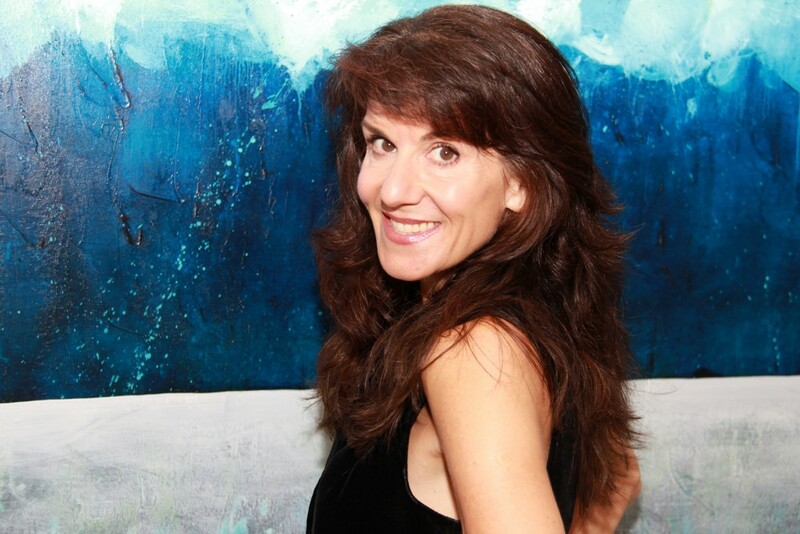 With my Creative Flow State Training, you will learn the same Flow techniques that I use to create international award winning healing paintings. If a formerly very left-brained engineer such as myself can learn to Flow, so can you! Color & Creative Flow Training Program. There are only 20 students accepted for each program. Is Creative Flow Training right for you? Would you like to have less stress and more joy in your life? Would you like to sleep better & feel more rested? Would you like to feel more positive and optimistic about your life? Would you like clarity about your purpose and direction in life? Would you like to have more energy, greater focus, and increased concentration in your work? Would you like to be able to EASILY get into Flow State? Do you find it difficult to still your mind & find a sense of inner peace and calm (which would allow creative thoughts & intuitive ideas to bubble to the surface)? 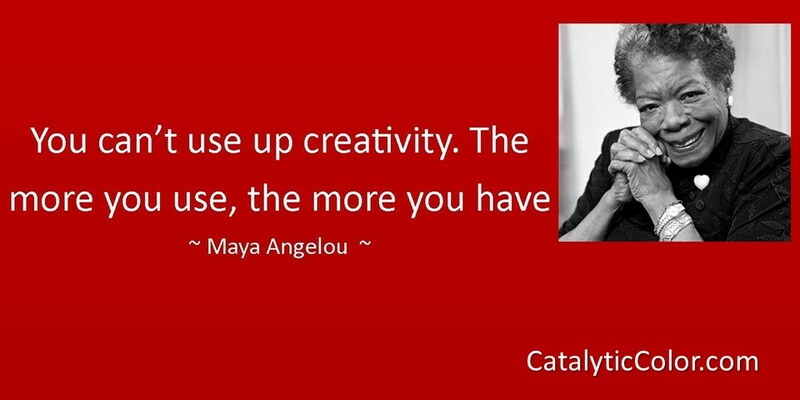 Would you like to have an abundance of creative and innovative ideas? And would you like to apply these creative insights to dramatically improve your work life & personal relationships? 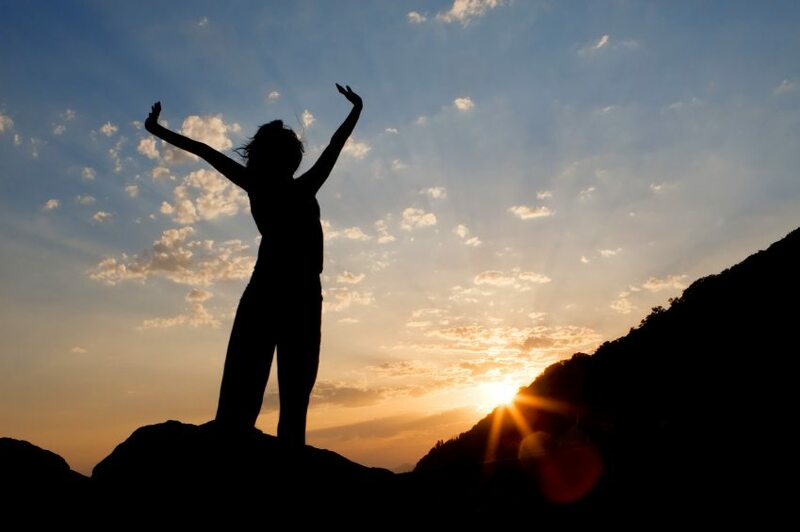 Would you like to derive greater satisfaction and joy from your life and relationships? Would you like to have unlimited energy and operate in Peak Performance mode in every aspect of your life? 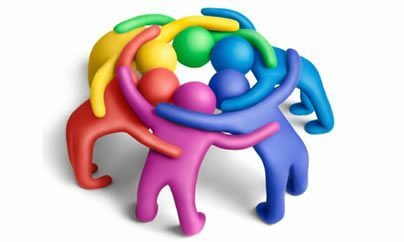 Do you have a physical illness or emotional issue that has been troubling you that you would like to understand & resolve? 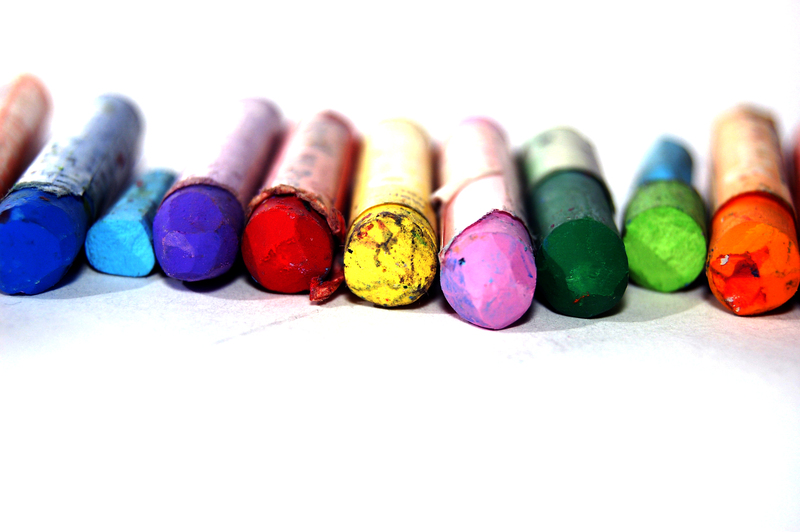 Would you like to learn more about how the colors you are naturally drawn to can help you heal? Do you want to become more creative & intuitive, dramatically improve clarity in your thinking? 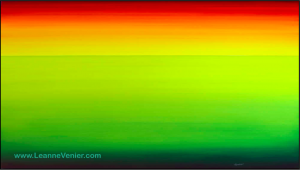 Would you like to understand the science behind the Healing Effects of Color, Light & Art? 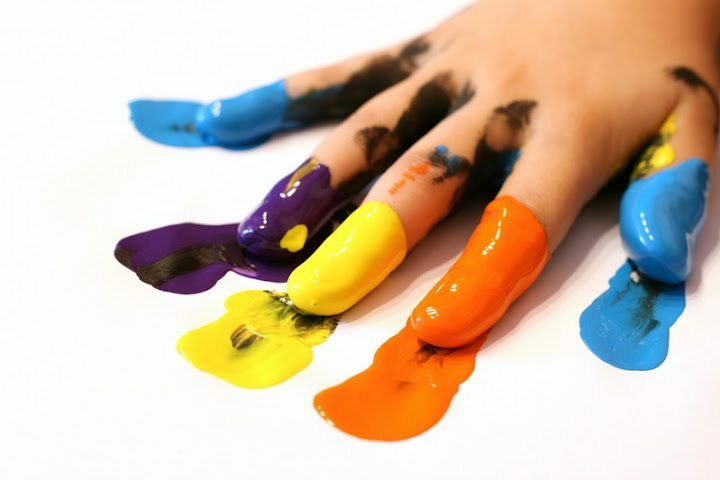 Do you yearn to express yourself in a creative way using color but feel you have limited or no artistic abilities? Have you tried meditating but found it difficult to attain those elusive glimpses of blissful Flow? 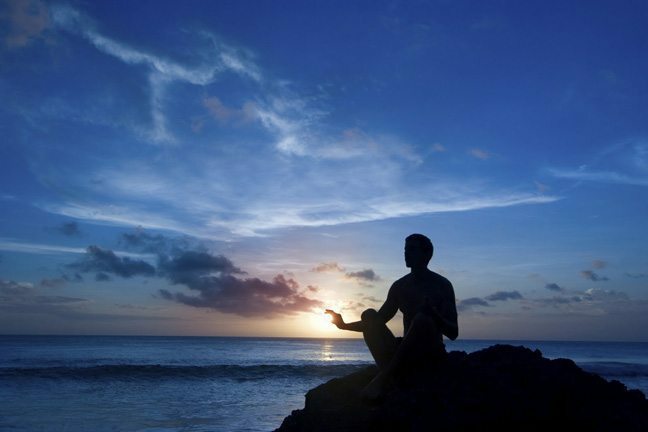 Or have you been meditating for a while and recognize its benefits but find that meditation doesn’t really enable you to tap into Creative thinking, greater productivity or get clarity about your direction in life? Would you like to understand at a deeper level where you may be holding yourself back in life? Would you like every aspect of your life and relationships to FLOW effortlessly? Do you want to find true Joy, Purpose, Satisfaction, and Abundance in everything you do? And most importantly, are you truly ready and eager to make these dramatic and positive shifts in your life? If you answered YES to any of these questions, then you will definitely benefit from the Creative Flow Training Program! “Flow” is a term coined by the famous psychologist Mihaly Csikszentmihalyi to indicate a meditative, right brain, HEIGHTENED state of awareness & expanded state of consciousness. Rapid & accurate insights into problems or challenges you may be facing in your business, personal life, or health. Dr. Carl Jung, the famous psychiatrist & psychotherapist, creator of Jungian Psychology was the source of inspiration for Mihaly Cziksentmihalyi to research Flow State after he heard Dr. Jung speak in Zurich. Dr. Carl Jung had another name for Flow State. He called itthe ability to tap into the ‘Collective Unconscious, the reservoir of the experiences of our species’. PLUS you get the tools to quickly become unblocked and begin to cultivate Joy and Abundance into your life. Please Contact Us directly for details and an application, to see if your group qualifies. How to use this Flow State to fully experience Peak Performance levels & be far more productive with greater satisfaction in your business and personal life. How to quickly & easily recreate this FLOW state whenever you would like. No Meditation Cushion is needed to get into this optimal Creative Flow Zone – but you immediately get all of the benefits of meditation … and much more! How to bring forth your own innate healing abilities using color. – No Special Skills or Artistic Abilities needed! Why you are drawn to certain colors, in general & at specific times in your life and the Modern Science and ancient wisdom that supports this. 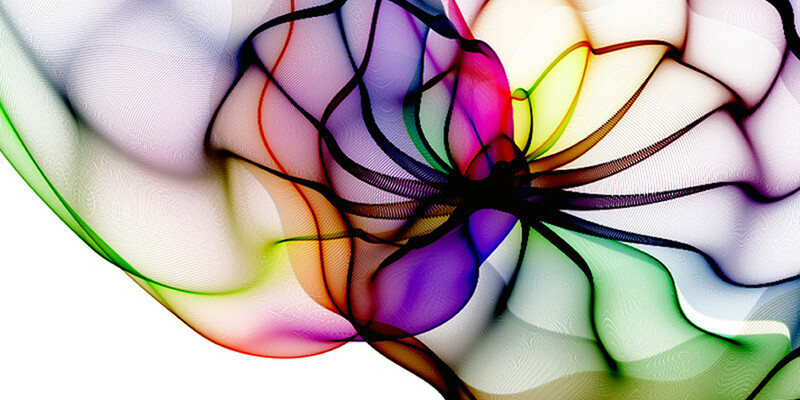 How to discover your optimal personal colors and use the Science of Color and Flow to your advantage. How to easily still your mind using your personal colors to tap into your innate creativity & healing. How you can use your personal colors and FLOW State to help you restore physical and emotional health, wellbeing, tranquility & happiness. How to get clarity on the aspects of your life that may be holding you back from fully experiencing Joy and Purpose in your life. NO sitting still on a meditation cushion is needed to attain these amazing states of expanded consciousness … when you use the simple and effective tools that you will learn in this training program! 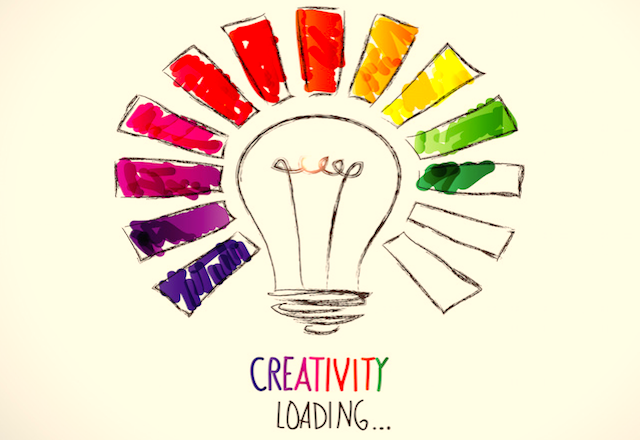 NO prior art creation experience Needed – even with zero art experience and even if you think you’re not at all creative, you can immediately excel at attaining Flow State and tapping into this limitless source of creativity. NO need to go through the steep learning curve that’s typically necessary to achieve this amazing FLOW state of expanded consciousness. NO Need for the YEARS of training typically needed to master FLOW, whether through learning to play a musical instrument, excelling at a high performance sport, learning to create art or any other of the typical methods of tapping into Flow. PLUS…You can achieve this state WHENEVER you would like, starting immediately. Has something been holding you back from fully experiencing Joy, Fulfillment and ease of FLOW in all aspects of your life, work, and relationships? You’ll attract the abundance that you were meant to enjoy. Yes, everything you’ve heard about how we all have the ability within ourselves to manifest and create the exact reality that we desire is True. All you need is a simple tool to be able to change the thought patterns you’ve been stuck in and realign with your Core self. With my Creative Flow Process, you’ll learn to once again hear & listen to your inner voice and begin to align with your true purpose in life. You’ll be able to create the dramatic shifts in your life to bring you back into that state of true bliss. We all know how to Flow, many of us have simply forgotten. While playing the piano, I often had the experience of the music playing ‘through me’ rather than myself playing the piano, and I would experience a sensation of deep inter-connectedness with this ‘greater consciousness’. 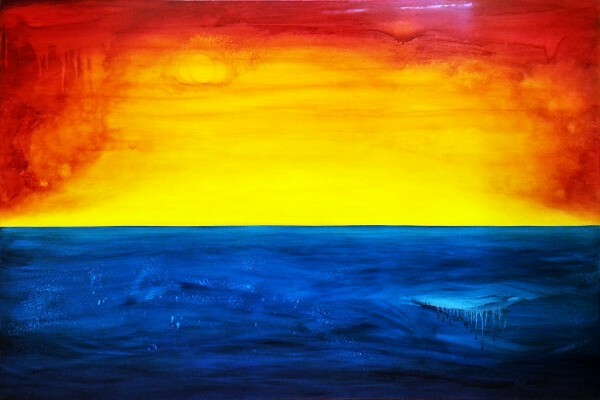 Eight years ago, at a cross-roads in my life, I started painting for the first time ever. 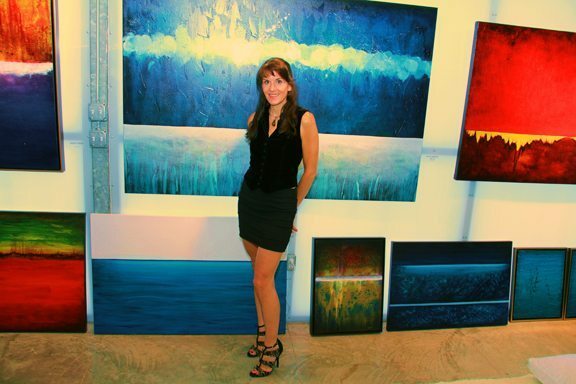 I was pleasantly surprised to discover that because of my lifelong experiences of tapping into Flow State with my music and because of my training with color, my brain was immediately able to tap into Flow State and the “collective unconscious” during my painting process. By tapping into Flow while painting and channeling that limitless source of Creative Energy, I was somehow able to create paintings in my first few months as a painter that were well beyond my minimal experiences working with paint. All of those very first Flow paintings are now in private and corporate collections around the world. Within those same first few months, I was also frequently contacted by international curators and magazines wanting to showcase my work. Even I was perplexed by the dramatic responses that the paintings were generating. As a beginning artist, it just didn’t make sense to me. It was three years later, as the international attention for my work continued to grow, that I was given a book written by a famous philosopher and architect, Christopher Alexander. That book, “The Luminous Ground”, has a full chapter on Color, and Alexander explains how certain works of art share 20 common characteristics that make them special. 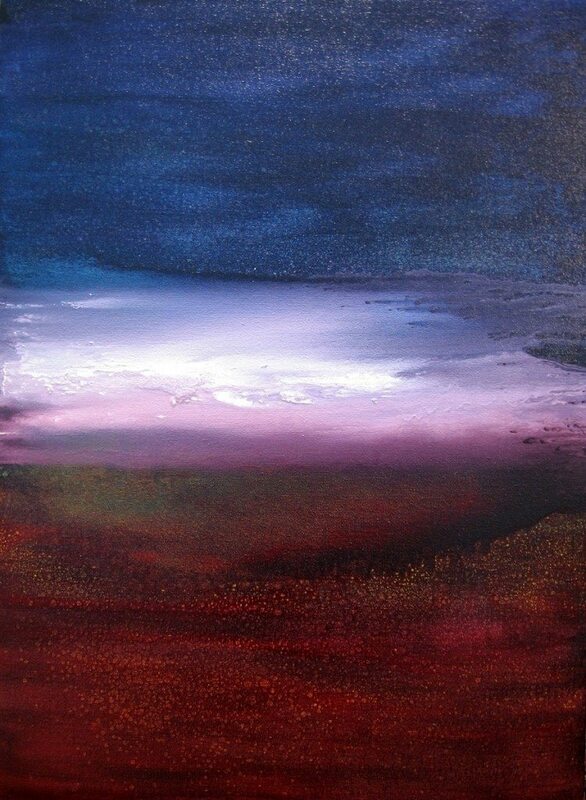 The special artworks which share these 20 characteristics will allow any viewer looking at them to use those works to re-connect with their core self – the ‘I’ as he calls it. These unique artworks will tend to induce a semi-altered state of consciousness in the viewer that feels blissful to them. This was exactly the type of feedback I’d been hearing from viewers of my artwork for 3 years! Things suddenly started to make sense! After reading this, I finally started to understand. It was through my process of tapping into Flow State by using the color energies that I needed, and channeling this energy into my work, that these artworks were magically being created by my hands but via some external energy source. Even I had no idea where these paintings were coming from since they would always just manifest through my multiple painting sessions in Flow state. Since then many people including medical doctors, have written about the Healing Effects they experience from my Flow State Paintings. I finally realized how effortlessly we can all can create amazing works of art or amazing experiences in our lives, beyond what we may believe we could generate. And we can all achieve this effortless Flow in our lives, simply by tapping into Flow State and by using the color energies that help us restore balance in our lives. What I’ve ultimately learned through the creation of my Flow state paintings is that they have somehow formed a language and vocabulary that can express visually what Flow State is all about. And this visual expression of Flow State includes an indisputable feeling that all living things are inter-connected and inseparable. But don’t just take my word for it…..
to indicate a Meditative, Right Brain, Heightened State of Awareness & Expanded State of Consciousness where clarity abounds and time disappears. Mihaly first learned about experience of Flow State from Dr. Carl Jung. Shortly after World War II, Mihaly attended a lecture in Zurich by the famous psychiatrist, Dr. Carl Jung, psychotherapist and creator of Jungian Psychology. After hearing Dr. Jung speak, Mihaly became fascinated with this concept of Flow State, which Dr. Jung referred to as an “ability to tap into the ‘Collective Unconscious, the reservoir of the experiences of our species’ “. Although I had been experiencing Flow State ever since I was a young child during my training as a classical pianist with the Royal Conservatory, I’d never heard of it being given a name. Not until about 20 years ago when I first learned of Dr. Carl Jung’s revolutionary work in psychotherapy. I began studying his research and life’s work about the importance of Flow State, and all of its benefits which I had already been experiencing in my own life. 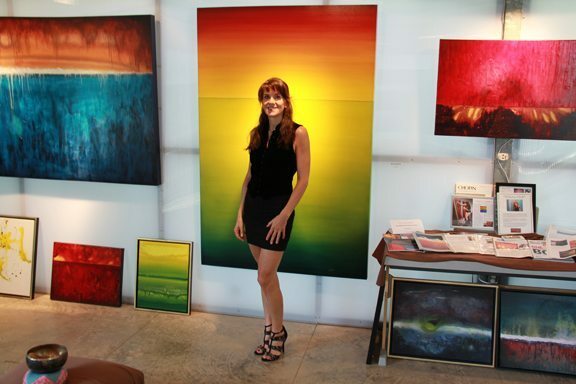 Leanne Venier with some of her international award-winning paintings, all of which she created in Flow State. What are the Benefits of the Creative Flow Process? Improved work effectiveness and 500% increased productivity – meaning you could work on Monday and take the rest of the week off, getting the same amount of work done! Additional Benefits of the Creative Flow Training – extending well beyond learning to reliably tap into Flow State you will also learn…. How to access and fully understand what’s going on at a deeper level in your unconscious mind and in your psyche. This information often seems unclear to us, but the answers are always within ourselves. It’s simply a matter of learning how to tap into this information source. How to use this information within you to understand why certain things may be holding you back in life. Once you learn to re-connect with your core self and can access this limitless source of information, you can immediately begin to re-engage with the JOY and PURPOSE OF YOUR LIFE and truly experience ABUNDANCE in all areas of your life. A new Harvard medical study has found that participating in an eight-week meditation or mindfulness (like Flow State) training program for just 27 minutes per day, can have measurable effects on how the brain functions even when someone is not actively meditating. Improvements in memory and learning. Why does the Creative Flow Process work so well? This program has already helped hundreds of people rediscover Joy, Purpose, and Effortless Flow in their lives. Don’t wait to REVOLUTIONIZE your life. I’ve developed and optimized these tried and tested creative Flow techniques by intuitively combining decades of my own experiences and studies into this comprehensive program. 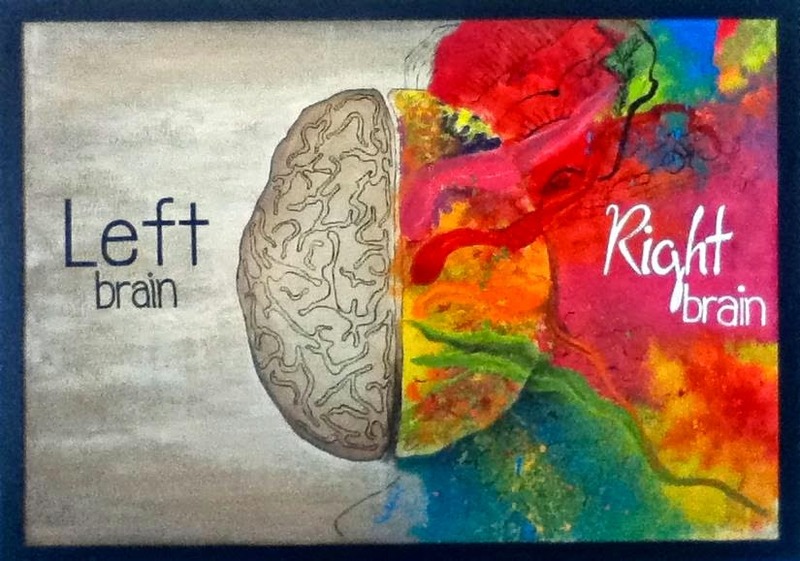 Personal experiences as both a very left-brained engineer, and as a very right-brained artist, and the ultimate understanding of how exactly the brain feels when you’re able to bridge both of these sides and operate in Flow State during all types of work. Direct experiences tapping into Flow state in all aspects of my personal business, even during the most analytical, left-brained work. Many years of experience teaching others how to tap into Flow state at will in order to reap its benefits in all aspects of their lives. And all the positive feedback I’ve received by helping others train their brains to achieve these optimal states of consciousness whenever they would like. I combined all of these lifetime experiences to create the Creative Flow Training program which includes highly effective Flow induction Techniques using the Science of Healing Colors. This training program has already helped so many people optimize their lives by using the Benefits of Flow State and Catalyzing Healing Colors. SUBSCRIBE NOW to be among the first notified of my upcoming Color & Creative Flow Training. Only 20 students are personally selected for each session. This means you could work on Monday and take the rest of the week off while still getting a full week’s worth of work completed! Read Testimonials from Color & Creative Flow Graduates. Would you like to reap these same benefits in all aspects of your life and relationships and truly live a life of Effortless Flow, Creative Abundance and Limitless Energy? We all know how to Flow … many of us have simply forgotten. The Creative Flow Process Training Program is only open to a very limited number of students each year. SUBSCRIBE to be among the first who receive notification about my upcoming Color & Creative Flow Training & Workshops. Dr. Carl Jung, the famous psychiatrist who created Jungian psychology, describes the ‘collective unconscious’ as the ‘reservoir of the experiences of our species’. I’ve spent decades studying Jungian psychology and through my Creative Flow Training Program I’ve combined Dr. Jung’s lifetime of research about Flow State and the Collective Unconscious with my own experiences of tapping into Flow state using color and sound. Mihaly Csikszentmihalyi, the contemporary psychologist who coined the term “Flow” and wrote a famous book by the same name, first began his explorations and research around this topic after hearing Carl Jung speak in Zurich, shortly after World War II. 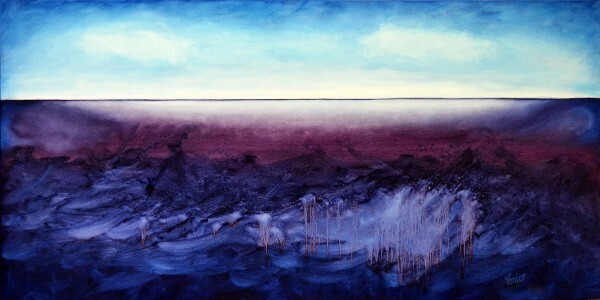 It was through my own painting process that I discovered how profoundly color influences and supports Flow state. Even with all of my lifelong experiences tapping into Flow state, it was only when I started working with color that I realized that color is one of the fastest and most reliable catalysts for achieving this elevated state of consciousness. Looking at artworks created in Flow State can slow down the aging process by reducing stress levels and triggering healing responses within the body. Utilizing the techniques I’ve developed I now teach others how to easily tap into this Creative Flow state whenever they’d like and apply it in their personal and business lives to improve their health, increase productivity, creativity, innovation, and DRAMATICALLY INCREASE JOY & HAPPINESS in their lives. Yes, it’s true — you CAN get into a Creative Flow even when you’re not creating art or playing music. The personal, health and business benefits are IMMENSE. Please CONTACT us directly for details and an application. 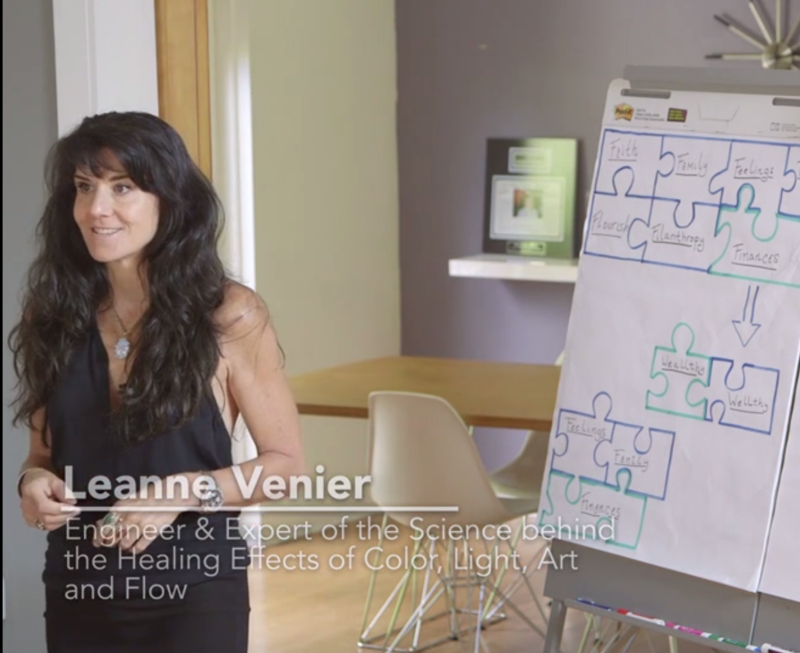 Praise about the Creative Flow Training from an Entrepreneur & Engineer“I had some concerns about Leanne’s Color & Creative Flow course being rather woo-woo in nature, taught by someone so caught up in enlightenment that their feet floated off the ground. The truth is, Leanne’s course was a reflection of her own groundedness in the reality of everyday life. She is that rare breed of human as teacher who combines the best of an engineer’s mind with that of an artist’s mind, all with a desire to help others find their greatest talents themselves. I felt right at home with the way she led the course. As Leanne says, setting a discipline in place to help yourself grow can be easy. Inner growth, she says, is about finding and exploring sacred moments of flow. Leanne helped each person in the class fully understand the importance of finding time to experience this inner flow. Here is what I experience by ‘getting into the flow’ daily by practicing flow techniques. It’s like I walk into a new, ever-expanding exploratorium of ideas in my mind. Many of those ideas have been hanging there in my subconscious just waiting to be noticed or associated with something going on in myself, but I wasn’t aware of it yet. I subscribe to the notion that I am what I think I am. Suddenly I started realizing life is a lot bigger and wider in its influence (and vice versa) as I found this new way to tap into my subconscious thinking. There are specific reasons for everything Leanne does. During the course I began to realize the finesse of her delivery of these ideas. The use of colors as tools for finding your creative flow is ingenious, and you get why that is so as you listen to her talk and allow yourself to experience what she has on offer. So after I had the initial ‘ah-has’ around some personal issues that emerged, I just let go more fully on the second exercise and noticed a kind of giddy excitement. That was huge. I was beginning to sense the ‘feeling’ of being in my creative flow. This is what I wanted to learn, and this is what I want to bring to other media creators. As we continue into this 21st century, I expect we’ll see more and more businesses of all types focusing on these kinds of exercises because in the end the machines will be doing the dreary work. It’s the humans who will be required to do the creative work. You cannot manufacture creative work nor can creative work always be done 8-5. 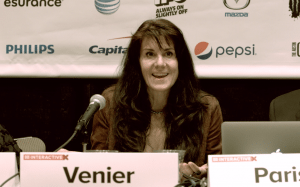 I can imagine Leanne’s insights of light and colors and how they impact our lives being shared as a secret weapon for architectural teams, ad firms, design firms, even sales teams wanting to truly gain the competitive edge. NO ART EXPERIENCE NEEDED for this life-enhancing Creative Flow Training Program. When you attend my Creative Flow Training you’ll learn to quickly and reliably enter Flow whenever you’d like. You’ll develop Peak Productivity, Optimal Health, Enhanced Creativity, Heightened Performance, and increased Job and Life satisfaction … in addition to physical & emotional healing and mind-body wellness benefits that being in regular Flow brings.